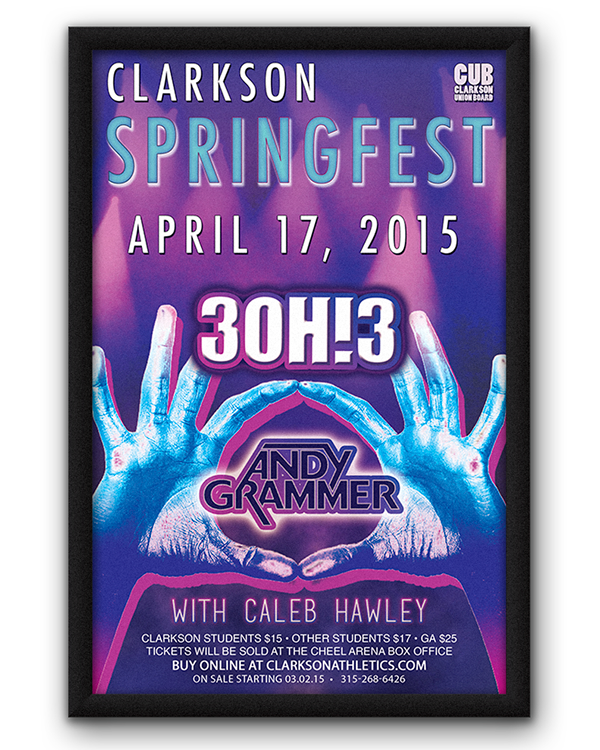 Each year, Clarkson University hosts two festivals for their students where many top charted artists perform. 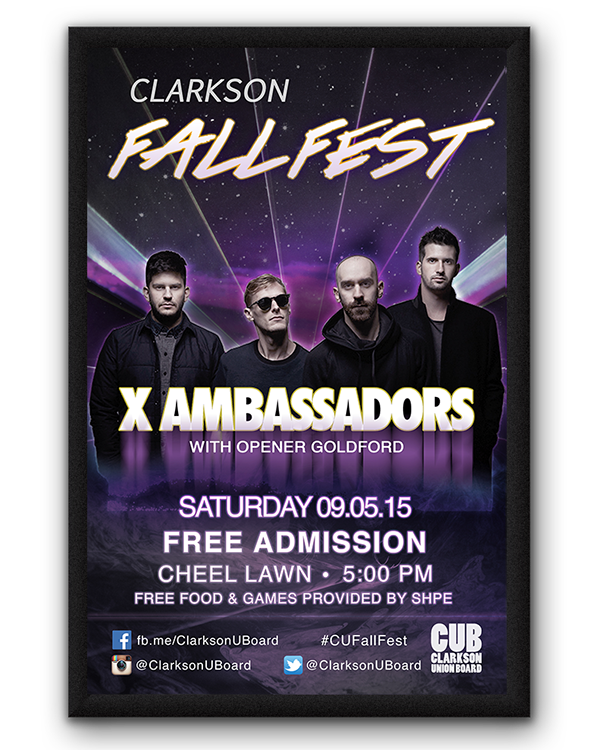 The Clarkson Union Board is tasked with the organization and promotion of these festivals. Alongside Former Union Board President Matthew Catalfamo, Daniel Quackenbush assists with the creative design process. These works are promoted on the Union Board's Facebook Page and through the Student Center.